These are found all over Surumar in the Broken Isles as added pets. I am not sure this pet is available as before, as the water areas no longer exist since the expansion. 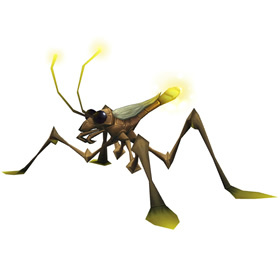 There are a lot of Eternal Striders, but I have only found Dancing Water Skimmers as a secondary pet to the Striders, so far. 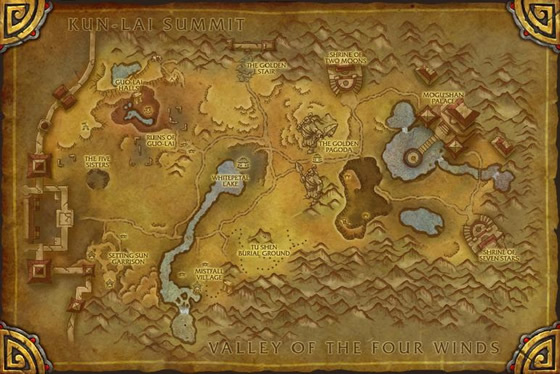 The current map information is incorrect, and does not take into account the land changes since the expansion. There are alot of Dancing Water Skimmers running around, but they are Level 1, and they are not Battle Pets. Looking for water? The first time I battled with her was against Farmer Nishi's sunflower, Siren. I didn't have much hope as she was level 22, but I had nothing else good against an elemental. She hit like a mack truck!!! I quickly got her to 25 and she is one of my favorite brawlers. There are a handful of these near 'Whitepetal Lake', where some of the Golden Lotus' dailies used to take place. Currently I'm trying to cycle through them and get a rare to help me battle some Master Tamers in Pandaria (the one with the singing sunflower pet, the turnip and the worm...ugh). But I saw around 6 there. If you're looking for one, this is a good spot. This has been my go-to pet for farming other pets. A single level 25 rare B/B one of these is capable of wiping out a full team of pretty much any other wild pets, unless you get really unlucky. It heals often enough to repair any damage. My second pet is a Terrible Turnup, and the third is the one I'm power leveling. I Healing Wave any time it is available and my hit points are below 1100, and otherwise Pump until the opponent is under what Water Jet can take down in one shot. I wasn't having any luck catching these on their own or luring them onto fightable ground, but I found an uncommon to replace my grey as a second to a Gilded Moth on the banks of Whitepetal Lake. Managed to taunt one of these from Whitepetal Lake using Growl, but it was only an uncommon, which I have. Rest attacked me, so I couldn't battle, then ran back to the middle of the lake before my I could click. Then I had a bright idea! "I'll use Elixir of Water Walking!" Popped an elixir, walked out on the lake, clicked a skimmer... "Pet battle area obstructed." ARRRGH! I have also found these as secondaries to the Gilded Moths near the water. Don't give up! After reading thru the comments, I see I need to jump on the Eternals again. I have a poor of this one, found on the water south of Golden Pagoda. Had to taunt him off the water, & that was a pain since it took a few tries to get it right. Gonna see about getting one as a 2nd to an Eternal now. I've had 2 rares appear now whilst battling the Eternal Striders along the river by whitepetal lake, one fast and one faster - they seem to hit pretty hard so looking forward to trying one out in my team! Woo hoo! Just got mine today! It was a rare too. 68.7, 43.7- right next to the Emporer's Burden Scroll- Part 8. It was a second to an Eternal Strider. At the moment, at the release of 5.1, this pet seems to have been entirely replaced by Eternal Striders on the Silvermoon server. Hopefully the spawns will even out soon; for now, it looks like it's time to grind battles and hope one shows up as backup. Caught mine this afternoon. 5:30 pm ET on Bronzebeard (a Pacific server). It was the second pet to a White-quality Golden Civet, with a Grey-quality Civet finishing out the triad. I'd seen a few other Grey-quality Skimmers paired with Civets or Bullfrogs, so check all those you can find when hunting your Blue. Best of luck to everyone still searching! Only found in VEB, from Whitepetal Lake to the waterfall by Mistfall Village. They phase out once you've started the Golden Lotus chain (not sure if a friend can aggro one and pull it out of the phase for you to combat). If you aren't phased, the other issue is you can't start combat while on the water. You have to be lucky that one spawns close enough to click from shore. Luckily they are reported as secondaries in fights with Golden Civets in the same zone. Named for their apparent dancelike behavior when skimming aquatic surfaces, the species uses erratic movements to avoid being devoured by fish and other underwater predators.